Collages are such a wonderful idea because you don’t have to choose your favourite photo – simply choose many of your favourite photos, and with a little help from Canvas Printers Online you’ll have a picture representing a thousand memories. 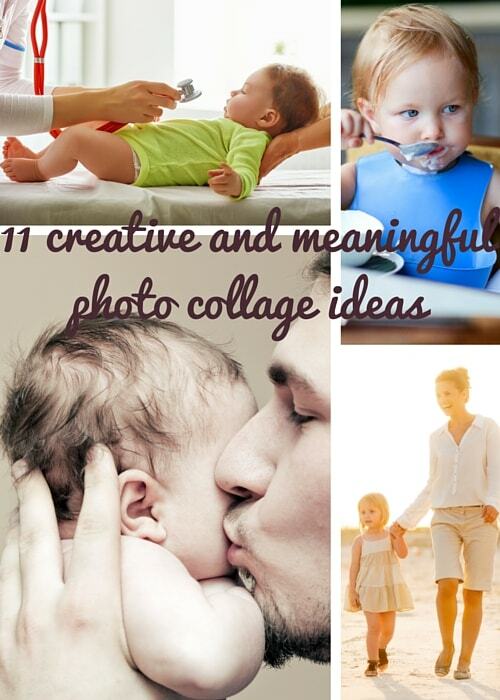 The following photo collage ideas will hopefully inspire you to create something amazing out of your unused photos. If you’ve been struggling to find the perfect gift for that hard-to-buy-for family member or friend, then here’s the perfect solution. Just gather all your Christmas photos from years gone by and make this beautiful collage. The online instructions are very detailed and easy to follow, and remember that the word JOY is just an example – you can use whatever word pleases you the most, maybe ‘peace’, ‘family’ or ‘love’. But perhaps the person who would enjoy this gift the most is you! What a wonderful way to re-capture memories of Christmases gone by. Imagine this beautiful collage hanging on the wall in your home: what a wonderful talking point when family or friends come to visit. 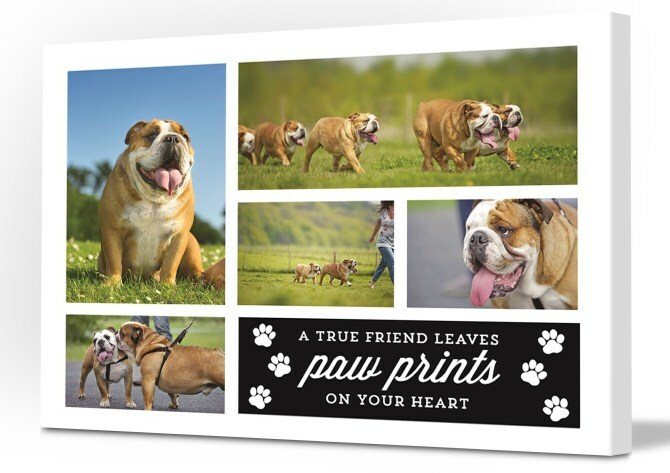 This beautiful collage is just one example of what we do at Canvas Printers Online to ensure that memories of your loved pet stay with you forever. Most of us have family pets; pets we love and treasure, but sadly, our pets don’t live forever. A collage is the ideal way of preserving your pet to ensure that they’re with you always. Combining photos linked by theme – for example, pets, children, hobbies, or travel – is what we do best, and we make it easy for you. Simply choose a pre-defined layout option, upload the number of photos as recommended, then arrange them as desired. Then it’s time for us to create your canvas collage masterpiece! How’s this for a simple and unique handmade gift? The above example was a gift from one friend to another of pictures from their high-school days. Wouldn’t we all love to see photos of ourselves with our school friends from days gone by? This is so simple that even people who claim not to have a creative bone in their body could probably manage to pull this one off. Photos, as we know, are priceless, because they take us back to the days when we were young and carefree. What a wonderful friend to come up with such a special gift idea. The Circle of Love is one of the most ingenious photo collage ideas that we’ve seen for students or family members living away from home. It’s slightly different to a family tree in that the parents have been placed in the middle, and the idea of including the family name makes it the perfect gift. 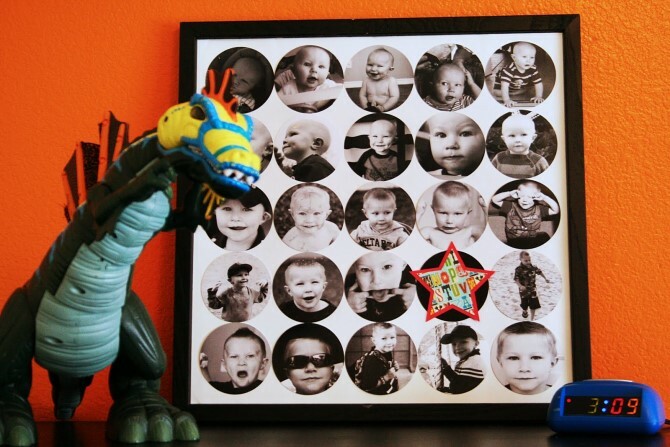 It’s also a great space-saver as all family pictures can be incorporated together. The instructions for this great gift can be found online. This cute little photo gift box is the perfect gift for almost anyone. After all, who wouldn’t love to receive a box of wonderful memories? And best of all, it’s easy and cheap to make. 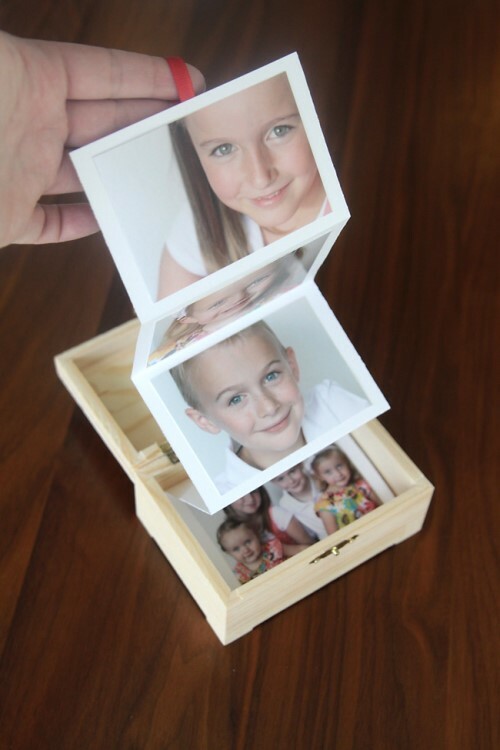 The recipient gets to open the box and pull out the stack of photos lovingly placed inside. Make one for your spouse on your wedding anniversary with photos of both of you over the years, or make one for the grandparents with photos of all the grandchildren. 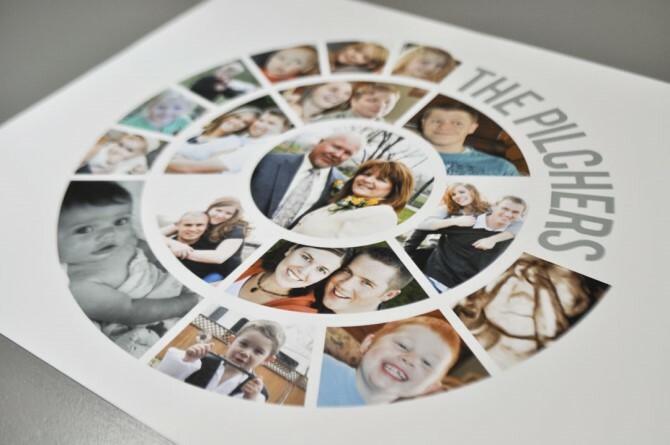 It’s the ideal way of keeping photos that are meaningful to both you and the recipient. And as a nice touch, take a little extra time to handwrite something on the back of each photo. 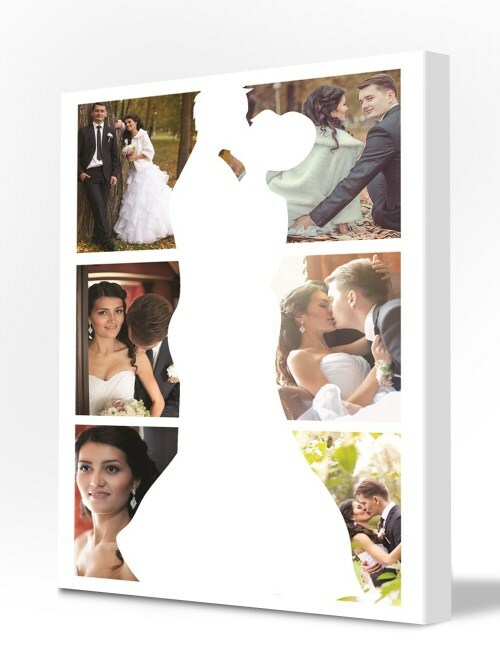 Our ready-made wedding collage template is available for you to simply choose your six favourite wedding photos and place them accordingly; then relax and let us do the rest. This is the perfect gift idea for parents of the bride and/or groom, or perhaps for family members or special friends who were unable to attend your wedding. Just don’t forget to order a copy for yourself! Simply go to the collage section at Canvas Printers Online, and the how-to steps are clearly set out for you. 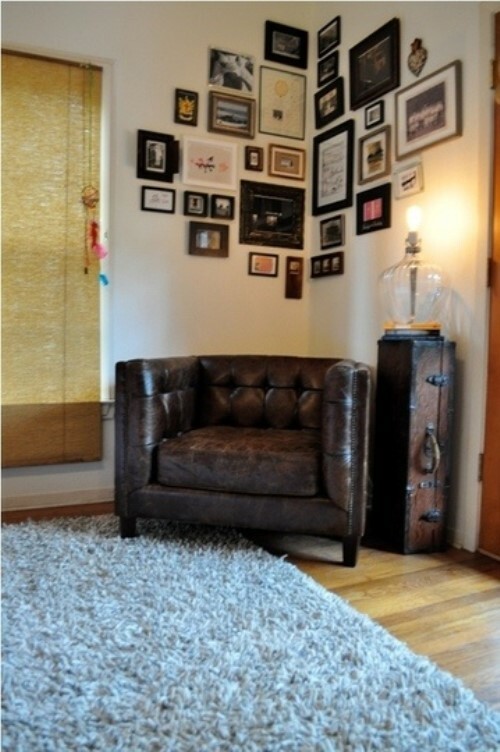 Now this is a great idea for filling in that corner of the room that you just never knew what to do with. 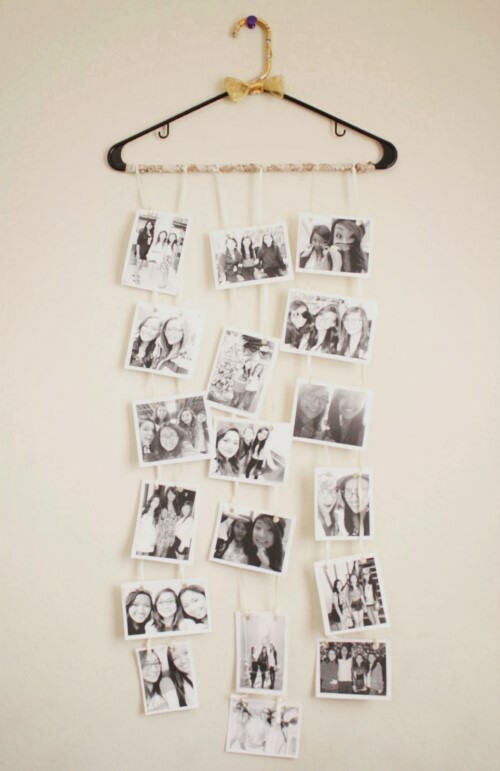 What better way to decorate your home than to fill it with memories of loved ones? This is one decorating project that we see many people making good use of. 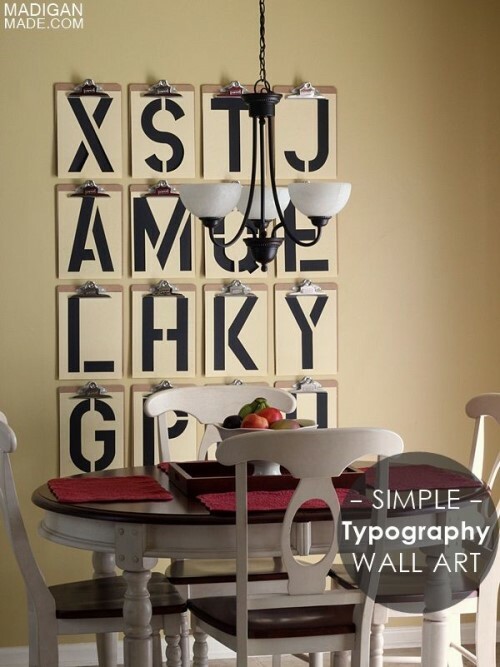 These stencil letters have been used to create a bold wall feature. Note how the oversized letters really pop from the walls! It’s a nice modern affect, and when done in the right colours can contrast beautifully with your furniture. In this example the stencils are clear with black backing paper; so why not use your creativity and design your own wall feature? Another perfect gift idea for the special people in your life; people that you like to go that extra mile for. This is such a personal and intimate gift that it could be suitable for anyone on your gift-giving list. 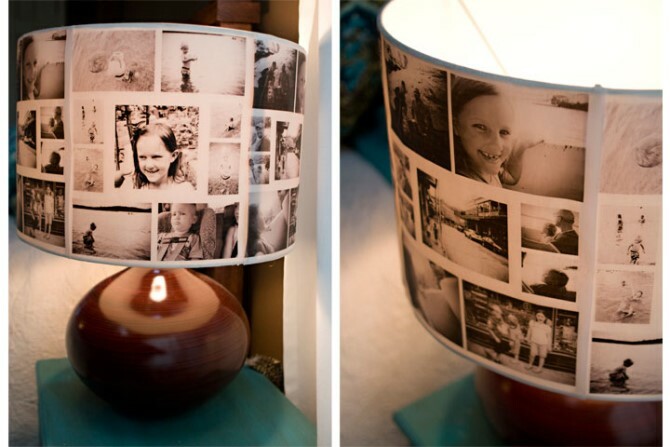 The online instructions for the photo lampshade are very clearly explained, and remember that it doesn’t have to be a photo lampshade, you may prefer to write your favourite poem or motivational quotes – it’s entirely up to you! What a great way of recording the first years of your child’s life! Or perhaps you’d like to add multiple photos of each grandchild and make a memorable gift for grandparents? Alternatively, make good use of the photos from your recent holiday, instead of putting photos away never to be seen again. The possibilities with this collage are endless, and the beauty is that it’s so simple to make. Just check out the simple instructions online. We think this idea is brilliant, and one that many people will take up. It’s inexpensive and super-easy to do. 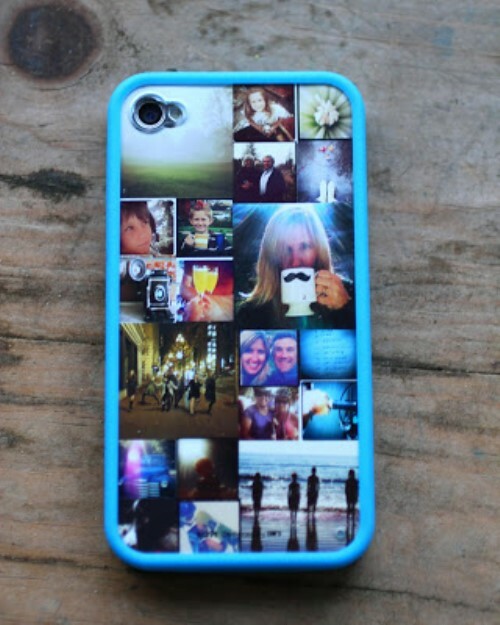 Now you can personalise your iPhone cover case with your own photos. The main item you need to get this project underway is a clear iPhone case, and then you can simply follow the instructions online. Photo collages on the walls of your family home are what turn your house into a home. Any set of photos can be turned into a stunning photo collage, and perhaps just one of the above ideas might inspire you to create your own collage. We’re here to help you every step of the way, so visit us online today and let us help you turn your photos into fabulous wall art for your home.